Early this month I talked a little about the Workhorse W-15 electric truck that was intended for fleet customers. 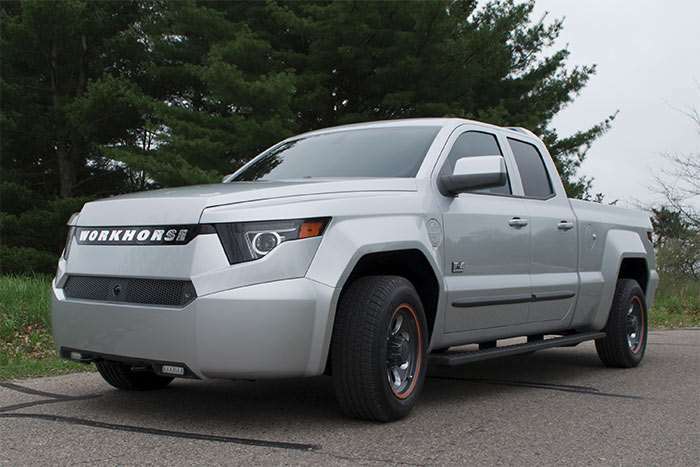 As it turns out the W-15 created such a buzz that workhorse is now thinking about making a consumer version of the truck. If you are interested in the truck, Workhorse wants you to sign up and then you will be contacted when it’s time to buy. The W-15 still reminds me a lot of the Honda Ridgeline, but it has some cool tech inside. The truck will drive for 80 miles on a full charge with electricity only. When your battery runs dry, the truck will keep going all day thanks to a gas range extender. Even with that range extender running, the truck is good for 32 mpg highway and 28 mpg in the city. That is impressive economy for a truck. It can tow 5,000 pounds and haul a bunch of stuff in the bed to boot. It even has a 8.2Kw power outlet that will run tools right from the vehicle battery.